LASD Undersheriff imothy K. Murakami. 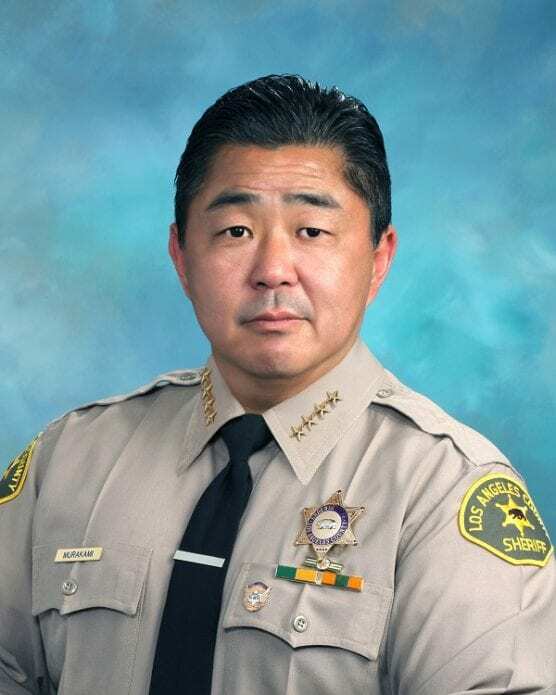 Los Angeles Sheriff’s Department Captain Timothy K. Murakami has been promoted to Undersheriff, according to a news release from the LASD’s Information Bureau. As Undersheriff, Murakami will supervise three assistant sheriffs who represent a majority of the department, including patrol, detectives, courts, technology, specialized operations and countywide services. He will also directly oversee professional standards, training, administrative services, and personnel. Murakami’s decades of leadership and experience across multiple bureaus made him Sheriff Alex Villanueva’s natural choice for this position. Murakami began his career in 1979 as a deputy at Men’s Central Jail, before transferring to East Los Angeles Station as a patrol deputy and member of the Gang Suppression Team. Upon promoting to sergeant, Murakami transferred to the Sybil Brand Institute, where he was a part of Operation Safe Jails. He transferred briefly to Recruit Training Bureau and then to Industry Station, where he worked as a patrol sergeant and as the Asian Community Liaison team leader. He also helped implement the Asian Crime Task Force. Upon his promotion to lieutenant, he remained at IDT, serving in various roles before transferring to Cerritos and then Temple stations. He promoted to the rank of captain and returned to IDT, where he served until he promoted to assistant sheriff in 2018. Throughout his career, Murakami has been involved in several aspects of the Department, including the Explorer Program, Youth Activities League, Street Racer Operations, Emergency Preparedness Network, and on several task force and incident command teams. He has supported the Fred Jordan Mission and served on the Board of Directors for the Women’s Care Center. He has received several awards for his community contributions, including “Rookie of the Year,” the Department’s Distinguished Service Award, the Community Achievement Award, and the Asian Gang Investigators of California Lifetime Achievement Award. Murakami is married with four children and has 14 grandchildren. When he is off duty, he enjoys staying active and spending time with his family, including his dog. Lets hope that the new under sheriff will address the massive rights being violated and the put a stop to the gangs behind the badge.